Help Preschoolers and Kindergartners practice their alphabet letters and phonemic awareness with this fun, seasonal Alphabet Turkey File Folder game. I love doing holiday themed learning activities in our homeschool. I created this FREE Printable Thanksgiving themed Phonemic Awareness activity to help my Kindergarten with learning her letter sounds. 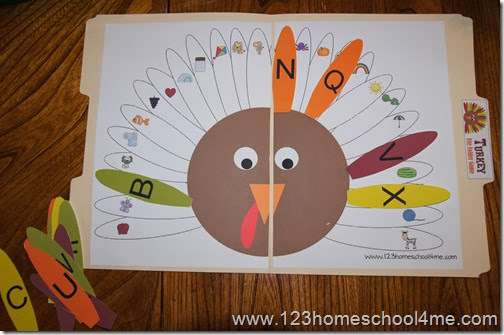 This Turkey File Folder Game is aimed at Kindergartners, although it could be used with Preschool and 1st graders as well. 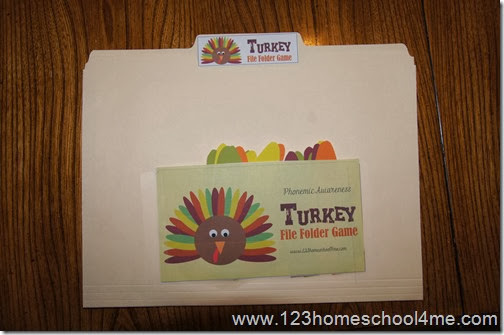 This Turkey File Folder Game is perfect for the month of November. It is aimed to help Kindergartners with their phonemic awareness (the sound alphabet letters make) which an essential pre reading skill. This could also be use with some preschoolers and 1st graders too. The File folder game is easy to print, cut, and tape together. Full directions included. Outside of assembled Phonemic Awareness Turkey File Folder Game. Inside of Kindergarten File Folder Game. Christmas is right around the corner! 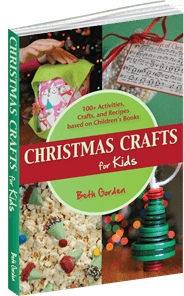 Get over 100 Christmas Activities, Crafts, and Recipes in Christmas Crafts for Kids.